John Truman Wolf explains what motivated him to do research and write his book Crisis by Design. Mr Wolf also researched and exposed the “Green Myth” regarding limits to growth and sustainability. “The neoliberal revolution in New Zealand. In the early 1980s a group of free market economists came to dominate policy at the New Zealand Treasury. With the election of the Labour Party in 1984 and the appointment of Roger Douglas as finance minister, the new right elite took power and began relentlessly and ruthlessly turning New Zealand into their vision of the model free market state. To trace the origins of the planetary pollution that exists today, like most things it seems, we can find out simply by following the money trail. Backing up a couple of hundred years to the original pristine state of our nations, we see indigenous or first peoples acknowledging the close link we humans have always had with the land. They refer to her as ‘mother’ or ‘grandmother’ … and in fact, like a mother, the land does nurture us. To destroy the land is to ultimately destroy ourselves. 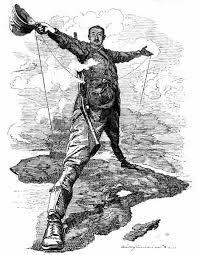 The incoming colonial capitalist economies however changed this perception of land, turning it rather into a commodity to be bought and sold. Globally, the first peoples who generally had little or no concept of buying or selling, were forced to comply with a new regime where ‘sharing’ and ‘community’ were re classified as ‘beastly communism’. Capitalist expansion required ever increasing amounts of resources and land and because care taking of the land doesn’t factor too well into short term speculative equations, we are now on the latter end of a destructive continuum and paying the inevitable price. Where there is money to be made (where resources exist) corporations aka big business usually show up. They showed up on indigenous lands as a colonial presence for this very reason … it was not for the usual reasons proffered … ‘to bring civilization’. Wakefield of NZ colonial renown openly stated in his plans for the colony that the price of land should be kept high enough so not all of the working class could buy it thereby securing a labour force (1). It is a mythical illusion that ALL can succeed under capitalism. The colonists wished to transpose their hierarchical class system from England where the aristocracy had already confiscated the commons from the poor for intensive cropping, depriving them of their means to survive and forcing them to work for cash instead. This created a landless labour force for the Industrial Revolution where even small children were put to work … in effect, slave labour, and this from a nation that claimed to be a civilized Christian nation and brought the Gospel. These earlier forms of corporations were at work in the colonies also, motivating indigenous peoples to work for them by introducing taxes that could only be paid in their currency (read ‘Against Empire’ by Michael Parenti, and Walter Rodney’s ‘How Europe Underveloped Africa’). Hitherto they had survived quite adequately off the land … but were now subject to the inequities and fluctuations of a market system that was unreliable. Capitalist economies not only deprived indigenous peoples of their livelihood and means of sustenance (their lands), they also restructured their societies and ways of organizing themselves in the name of civilization. One only has to observe today that it was largely to their detriment. As has been tirelessly pointed out by others, indigenous people in colonized countries right around the planet now feature disproportionately in most of the negative social statistics … and are typically blamed for their own predicament. Today corporations continue in activities they call ‘development’, and in so doing, continue to convert resources into profits. See the current heist of Kauri from Northland by corporations, one of which is Oravida Kauri which has a close link with Judith Collins of the National Party. As others have pointed out, that resource could be retained here to provide jobs for artisans, helping the locals. Instead it is said to be stockpiled by some companies or shipped directly to China for profit for the corporations concerned. This might produce a few temporary jobs for some locals but in the long run the ones who benefit are the corporation’s shareholders. So corporations by and large are not inherently interested in the well being of any human beings other than their shareholders. Their one main focus is profit. In examining the money trail, and looking at the bigger picture regarding our more recent history, New Zealand became less pristine or ‘unspoilt’ (as our official Rangitikei logo declares) since the late ’80s when the new neo liberal economic policies called Rogernomics set in. We are now the reapers of that earlier Government’s folly, and paying a price. The older folks among us know that things have changed. Where once we had full employment and no debt, we are now in debt … big time (climbing $27 million per day) and subject to the control of big business. Borrowing millions per week to stay afloat? Our grandparents must be turning in their graves. That was the unfortunate ‘NZ Experiment’ (2) that sold us down the river, and with our assets now going … going … gone, we no longer enjoy the sovereignty we once had. They sold off our family silver as it were under the fancy name of ‘privatization’. (A new term, note, that gives a professional air and shifts the focus off what is really happening). 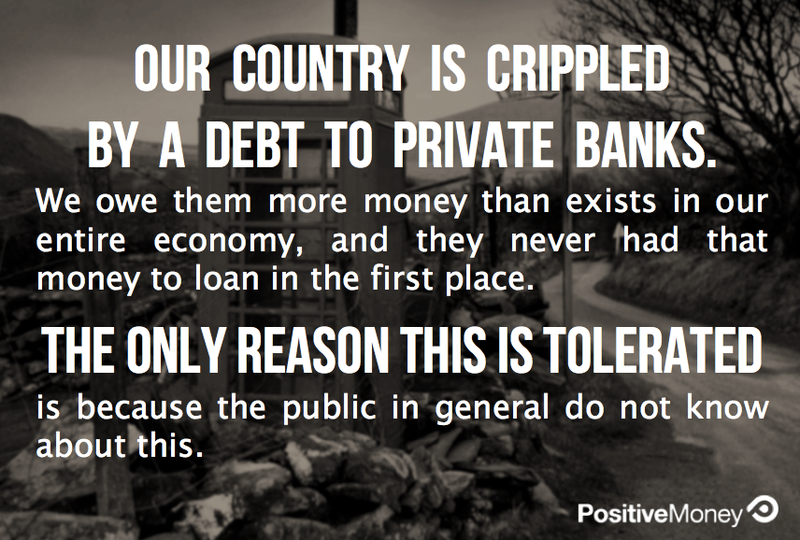 We were told it was to pay our national debt but we are now more in debt than ever … it clearly hasn’t worked. Our country is now a corporation registered with the Securities and Exchange Commission (SEC) and our government departments likewise. So now we see evidence of this business model everywhere, with their whole raison d’etre being profits, while the memory of a caring welfare state is becoming more and more elusive by the year. In rural communities it still sticks out like a sore toe because it clashes with their longtime ethic of community and caring. Locals were taken by surprize for instance when the owners of the Bonny Glen tip in Marton (which a previous Council had sold a few years prior) sprang on them their application for consent to quadruple the size of the landfill, which was already becoming a bone of great contention due to truck traffic, seagulls, rats and feral cats. They were ‘not required’ however, to call a public meeting and consult with the locals and if they didn’t like it then they could read the seven volumes (1500 pages) of legal gobbledygook after milking each night and make a submission, if they weren’t too tired that is. Read about the unfolding events with this issue here …. Inside Job: The award winning documentary ‘Inside Job’ [2011 | US] by the veteran crusader, Charles Ferguson is the most insightful and illuminating amongst a number of such attempts that deal with the global financial crisis, which is wrecking lives and economies across the world to this day. "Give me control over a nation's economy, and I care not who writes its laws"
" I am afraid that the ordinary citizen will not like to be told that the banks can and do create money, and they who control the credit of a nation direct the policy of the governments and hold in the hollow of their hands, the destiny of the people"
"The points they [Maori] find most difficulty in understanding are the different grades into which our society is divided, and the poverty and misery under which some of our classes labour, whilst others seem to live a life of abundance and idleness"